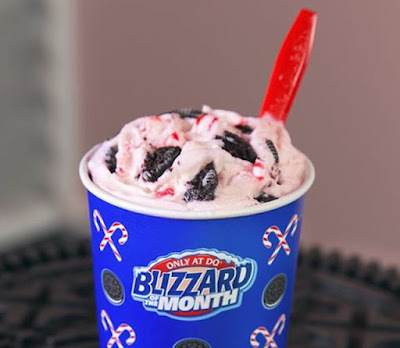 The Candy Cane Oreo Blizzard returns to Dairy Queen as the November 2016 Blizzard of the Month. The holiday flavor features candy cane and Oreo cookie pieces blended with the chain's signature vanilla soft serve. In case you want more than just a cupful, the Candy Cane Oreo Blizzard is also available as part of a Blizzard Cake. Both are available for a limited time (most likely through Christmas).